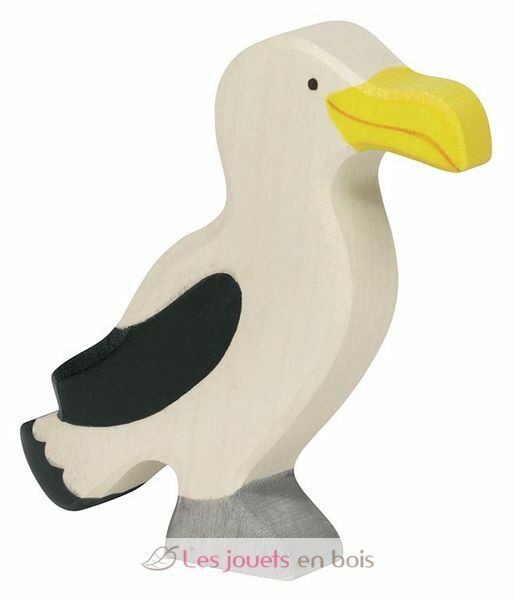 Albatros, a wooden figurine made by Holztiger, ref 80355. Unleash the imagination of your children thanks to HOLZTIGER's wooden figures. Large and easily handling, these figures are an invitation to play for hours! Careful finish gives them that soft and pleasing touch. These character figurines will find a place in your kids' room as an original decoration. For many years HOLZTIGER's figures have been famous for their play value and they very high "Made in Europe" quality. Each one is unique! They are made of maple and beech wood andindividually handcrafted. Non toxic watercolours leave the wood's natural grain visible.